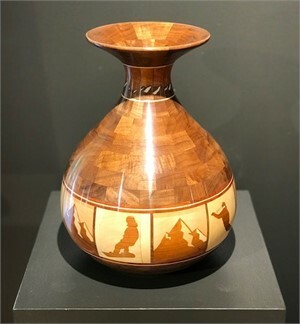 Wood as the material, and wood turning as the technique to express artistic creativity. A tradition that goes back to ancient Roman and Egyptian times. Spectacular textures that transcend wood and allows the art to venture into a world of his imagination. Steve’s works are explosions of mysterious horizons with their typical nautical and oceanic related themes. 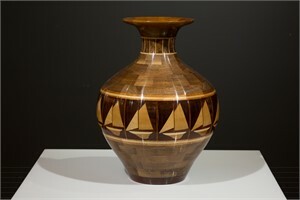 Boats, lighthouses and fish immersed in the veining of the different types of wood, revealing the very soul of the trees from which they originated. With simplicity, Howland delivers his marvellous creations that is initially confounded by the superb artistry that lies behind common objects like vases or lamps making them appear almost to be made of alabaster, mother of pearl or quartz. 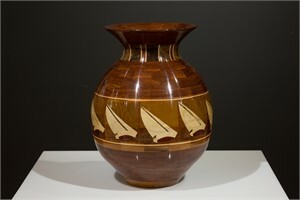 Segmented wood turning is specifically what Steve Howland does. 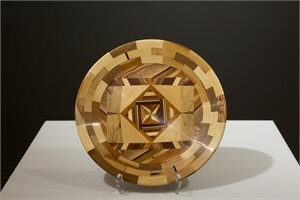 He accurately and meticulously unites segments of different woods and glues them into rings, which in turn are stacked together and glued, and then placed in a lathe to be worked finely and beautifully into the actual works of art. 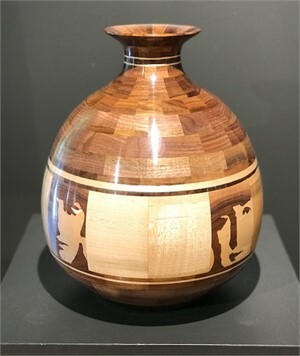 Artist Statement: Wood as the material, and wood turning as the technique to express artistic creativity. A tradition that goes back to ancient Roman and Egyptian times. 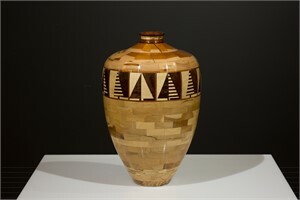 About: Spectacular textures that transcend wood and allows the art to venture into a world of his imagination. Steve’s works are explosions of mysterious horizons with their typical nautical and oceanic related themes. 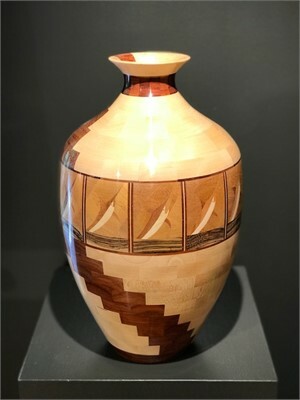 Boats, lighthouses and fish immersed in the veining of the different types of wood, revealing the very soul of the trees from which they originated. 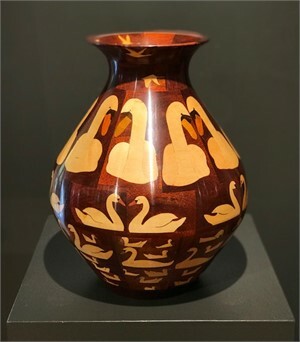 With simplicity, Howland delivers his marvellous creations that is initially confounded by the superb artistry that lies behind common objects like vases or lamps making them appear almost to be made of alabaster, mother of pearl or quartz. 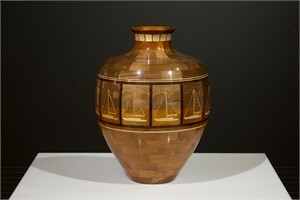 Process: Segmented wood turning is specifically what Steve Howland does. 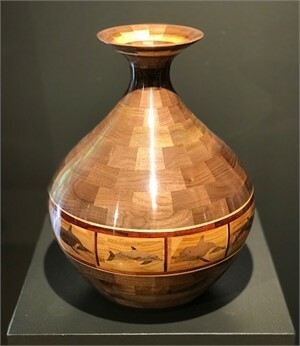 He accurately and meticulously unites segments of different woods and glues them into rings, which in turn are stacked together and glued, and then placed in a lathe to be worked finely and beautifully into the actual works of art.